The style preferences screen in menu settings lets you configure the Style Preferences Menu behavior. 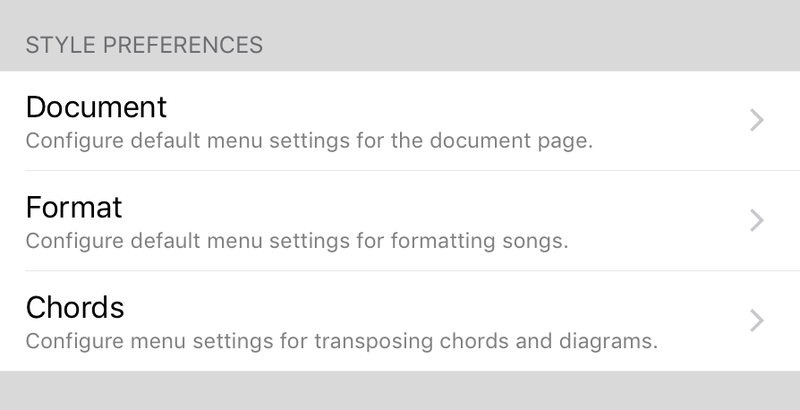 Allows you to adjust the default document settings for newly imported songs. Allows you to adjust the default appearance settings for newly imported songs. Adjusts the default behavior and interface options for chords.